The Figaro class wanted to encourage fans to come to battle on the Figaro circuit and to do so, initiated a new classification reserved for pure amateurs. This does not mean that they do not have experience of competition, on the contrary! The notion of amateur is clear: anyone who is not paid to practice sailing. And they are thus eight pure amateurs for this 48 th edition of The Solitaire URGO Le Figaro to have presented themselves on the starting line in Bordeaux. 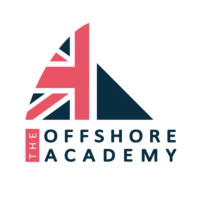 And in Gijón, it is the British Hugh Brayshaw ( The Offshore Academy ) who returns for his second participation, which is the winner of this new classification. He finished 24 th in 2 hours 56 minutes and 41 seconds of Nicolas Lunven ( Generali ), sandwiched between Martin Pope ( Skipper Macif 2017 ) and Thierry Chabagny ( Gedimat ), a performance very respectable given the very tough conditions of this First stage between Bordeaux and Gijón.